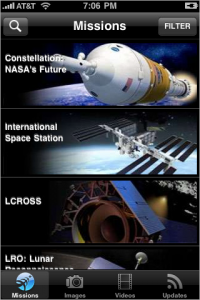 NASA, the government agency responsible for the space program of the United States of America, has just released its first application for iPhone. 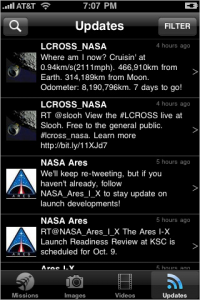 Through a simple interface this app allows us to know about all the missions planned. 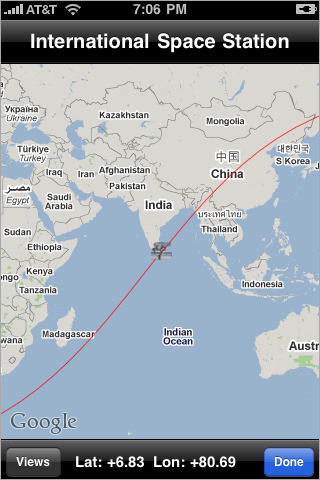 Users can monitor the current position of the International Space Station and other spacecrafts around the Earth. App is compatible with iPhone and iPod Touch, requires firmware 3.0 or later and is localized in English. iPhone OS 3.1 is available and is a free download for iPhone customers. 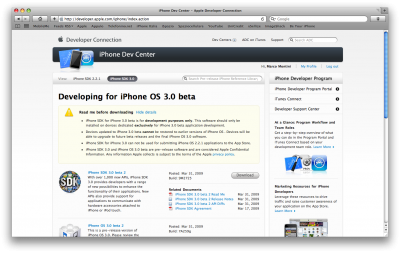 iPod Touch users already running iPhone OS 3.0 can update to 3.1.1 for free. 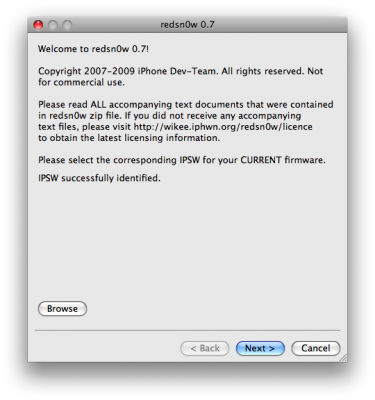 iPod Touch users running earlier firmware versions can upgrade to OS 3.1.1 for $4.95. Users of jailbreaked and unlocked devices - do not update, wait for utilities updates!! 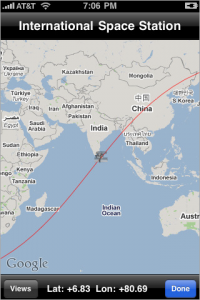 Google on Wednesday rolled out the My Location feature for Google.com on the iPhone. 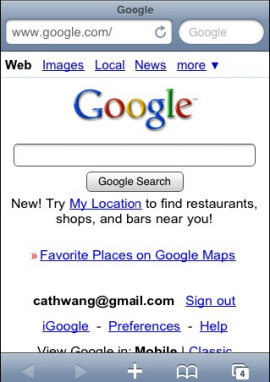 Now, when you visit Google.com from the Safari browser of an iPhone sporting 3.0 software, you'll be greeted with a hyperlink urging you to enable My Location. Enable it and let Google see your location, when you search it'll now show you stuff nearby that matches, like coffeeshops, restourants, gas stations, etc. Search with My Location for Safari currently works for English speakers in the U.S. and U.K., with multilingual and multinational support coming soon. 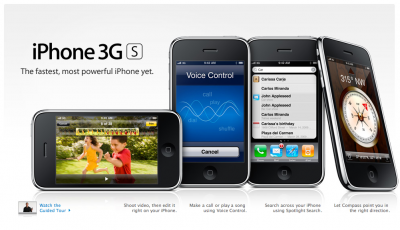 Great news for all iPhone 3GS users. DevTeam updated ultrasn0w, software that unlocks iPhone with firmware 3.0. 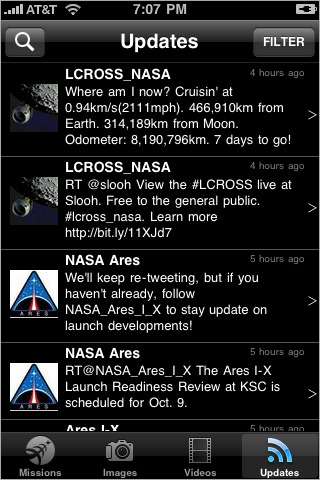 Now it supports iPhone 3GS! Please add the repo repo666.ultrasn0w.com to Cydia. That last “o” is actually the number zero “0”! If you use the letter “o” you’ll get an error. 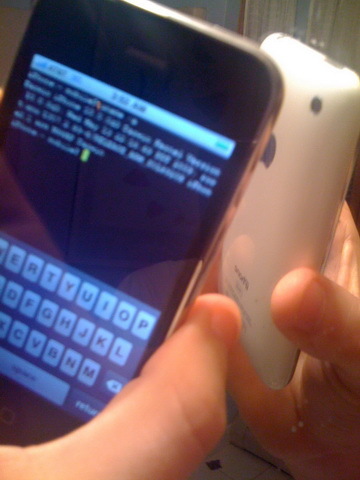 These are the first images of a Jailbroken iPhone 3GS. GeoHotz published them in his blog. DevTeam will publish an updated release of the tool only after the release of firmware 3.0.1. 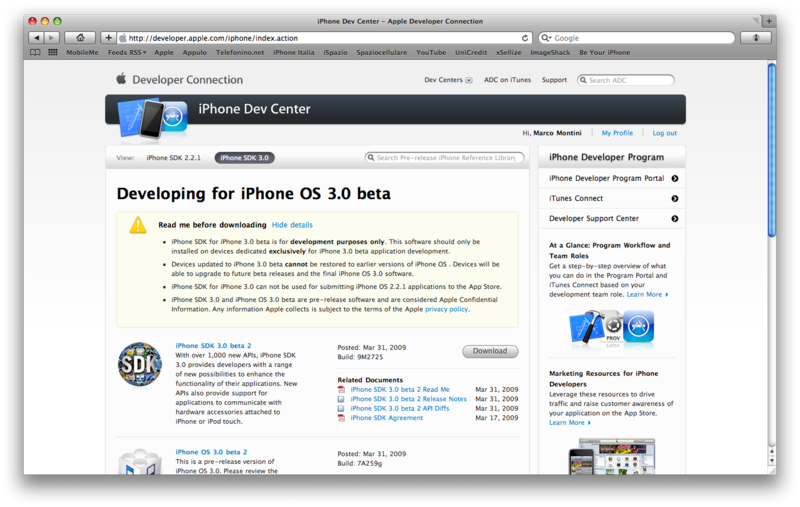 The reason is simple: Given that the Firmware 3.0 is full of bugs, it is clear that Apple will release an update soon. If the DevTeam release new tool, Apple will probably be able to block them with the next update. Tomorrow afternoon we will find more details on the official DevTeam blog. By the way firmware 3.0.1 is scheduled to be released in July. The sales figures match those of last year's iPhone 3G launch weekend sales numbers. Apple also reports that six million customers have downloaded the new iPhone 3.0 software which works on the existing 40 million iPhone and iPod touch models. The iPhone DevTeam confirms that jailbreak on OS 3.0 is working. Nothing can be done about it since in order for apple to stop jailbreak they have to remplace the hardware. As soon as OS 3.0 will be released we can expect to have jailbreak app available. Remember this are only available to register developers and if you are not we recomend not to install or you will have a device with a pink screen of death since you need to activate the beta using iTunes and your device must be register in a database. Apple has updated the official website dedicated to the WWDC, the event where Apple will present Firmware 3.0, the new iPhone and more. The news are great - all available seats are gone. The latest rumors say that the Keynote will not be presented by Steve Jobs. The new firmware 3.0 Beta 2 is released. The code of the new build is "7A259g". No info about new added features is avaliable yet.